Have endless fun with the Bride-to-be, family and friends at the Hen Do with our fun Badge Kit! Customise the chic pink badges with the rose gold foiled stickers and hand them out to who fits the badge best! 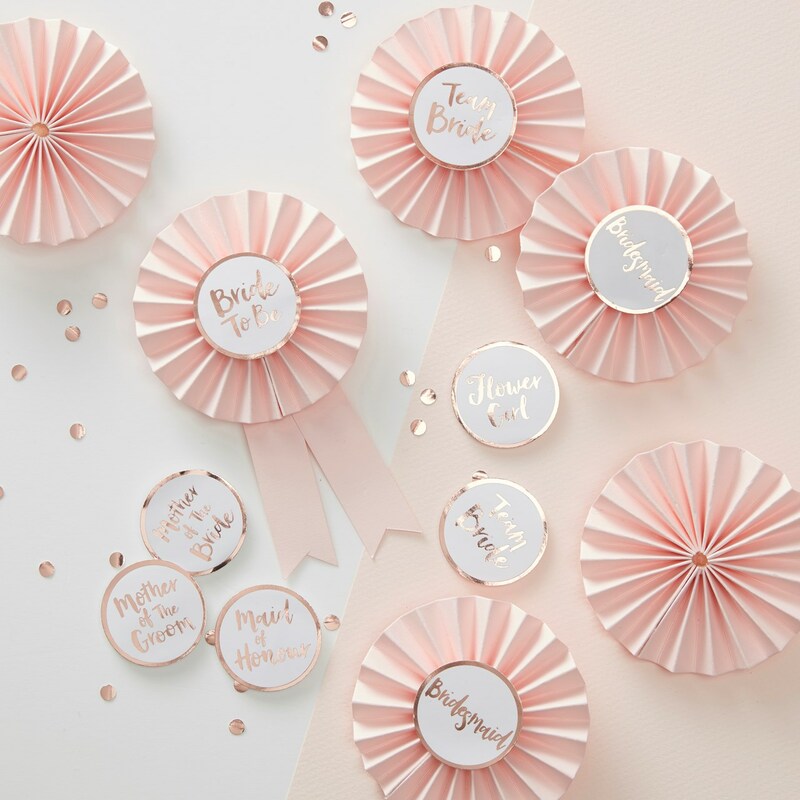 Each pack comes complete with 6x pink pinwheel badges and 9x assorted rose gold stickers with fabulous titles: 1x Bride to Be, 1x Maid of Honour, 2x Bridesmaid, 1x Mother of the Bride, 1x Mother of the Groom, 1x Flower Girl and 2x Team Bride. Each pack contains 6x badges and 9x stickers. Badges measure: 80mm (D).